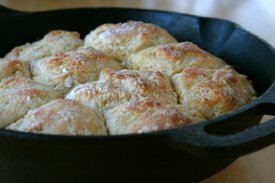 Often thought of as "just a side dish," biscuits rarely generate the attention they deserve. 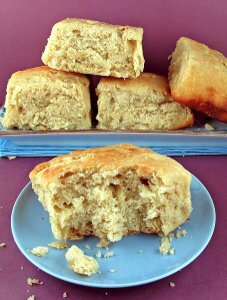 A great biscuit recipe can make or break a meal. With this guide, How to Make Biscuits: 18 Easy Homemade Recipes, you can give biscuits a starring role at your dinner table. From cheese biscuit recipes to sweet biscuit recipes to the always classic buttermilk biscuit recipes, there's a little something for everyone in this collection of all-star homemade biscuits. Why mess with perfection? Some of the best homemade biscuits we've ever tasted came from the simplest of recipes. Below are six of our top easy biscuit recipes. Even though each of these homemade biscuits is made from scratch, they're still easy as can be since they're made using simple, basic ingredients. Cheese, please! 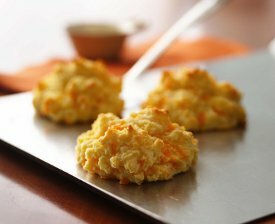 The quickest and easiest way to spruce up basic biscuit recipes is to sprinkle in some cheese, whether it's Cheddar, Parmesan, or another of your favorite dairy-based products. There's nothing like biting into a fresh out of the oven biscuit and experiencing warm and gooey cheese oozing out from inside. When fluffy dough combines with creamy cheese, there's no denying the end result is irresistible delicious. Browse the collection of cheese biscuit recipes below and discover some new ways to remix your standard dinner rolls. Cheesy Bacon Biscuits Must-make recipe! KFC Copycat Biscuits Just like the restaurant! While all of the above savory biscuit recipes are great, sometimes you need a little something to satisfy your sweet tooth. That's why easy homemade recipes for dessert biscuits exist. Below are some of our favorites that we're sure you'll enjoy. If there isn't room at the dinner table to serve homemade biscuits alongside your main course, you can still incorporate biscuits in your meal by serving them as a post-dinner treat. When it comes to sweets, the easy biscuit recipes in the collection below are surefire winners. 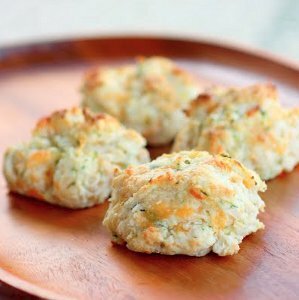 Bisquick Apple Drop Biscuits Editor's Pick!